Just love doing this every year 🙂 Finished with the 4th graders and now we are using them for a card set for the school auction. Never get tired of Georgia O’Keefe. It is amazing what these students can do with inspiration from this great American artist! Skills Learned: Students will work on their sketching skills and also how to make object look larger than life as O’Keefe did so well. They will also practice blending and mixing hues and tints and well as contrasting colors so the art pops off the page. First have students bring flower pictures in that they are going to sketch. Next have the students practice sketching on scratch paper and discuss how to draw the image large and off the paper. After practicing a while sketch the flower on the water-color paper being careful not to press too hard and indent the paper. 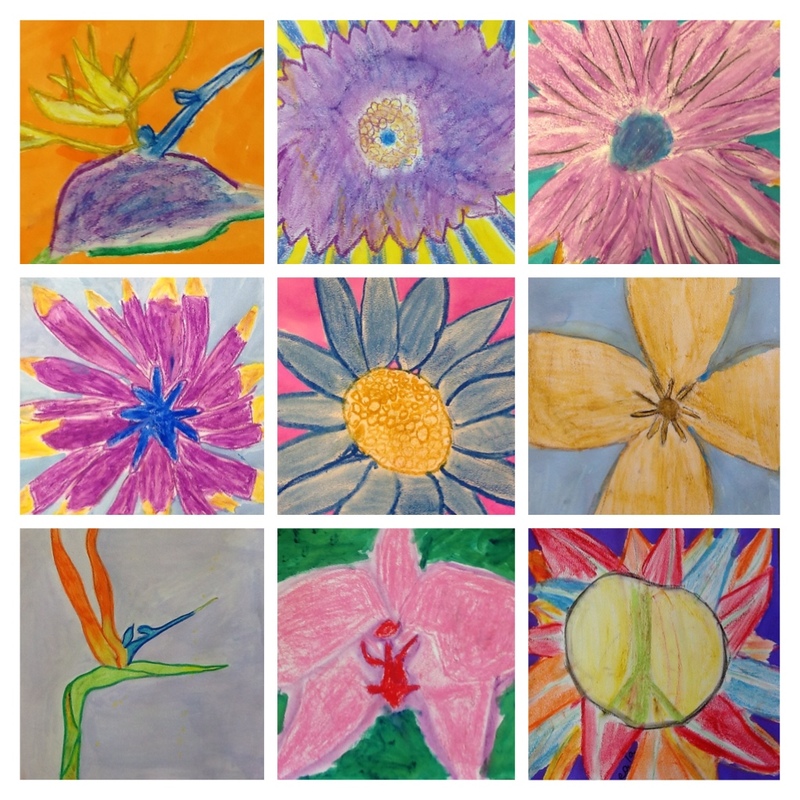 After the sketch is completed then use the oil pastels to color the flower. Talk about using their hands and tissue or Q-tips to blend. 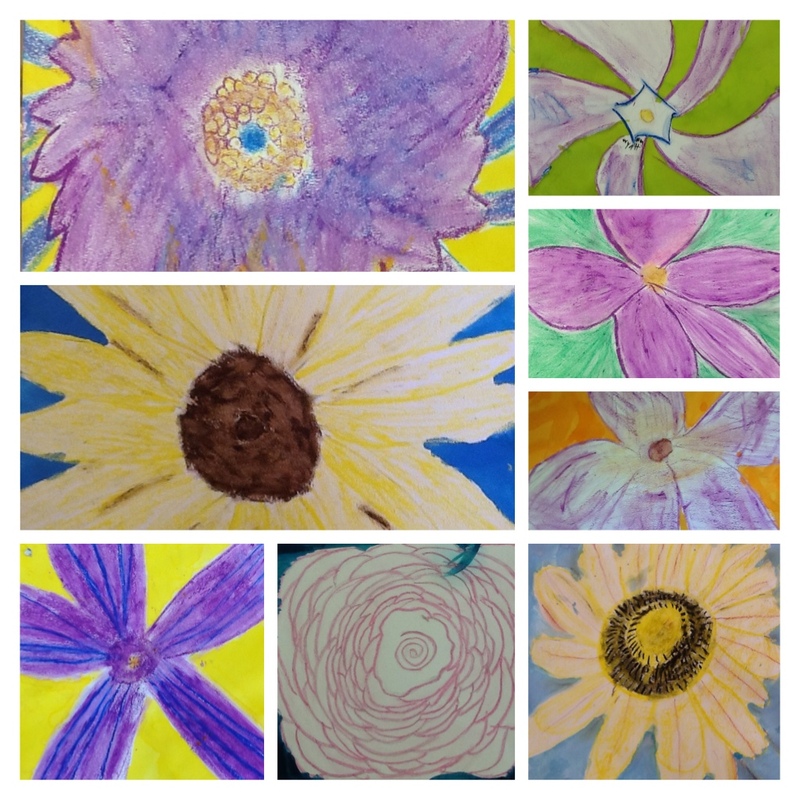 After they complete the flower with the oil pastels have them use the color wheel to pick a contrasting color for their watercolor background. Use water-color to paint the background.